Final collection of shorts at this years New York Film Festival all have a New York bend to them. All are either set here or by New York based filmmakers. This is one the best collections playing at the festival and to be honest its the only collection that feels like it truly belongs at NYFF. This isn't to say anything is wrong with the others only that this one feels like a solid big festival collection. HERNIA- has young man trying to find love and friends in New York. Its a quirky New York film that starts the collection off nicely. 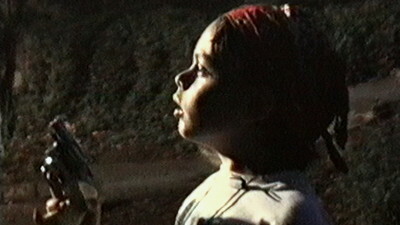 RIOT- The filmmaker juxtaposes the 992 LA riots with the film he made on his 9th birthday which was the same day. It says a great deal about how we perceive things even as kids. SUNDAE- a mother bribes her son for information about her husband's infidelities with ice cream. Its very well done. 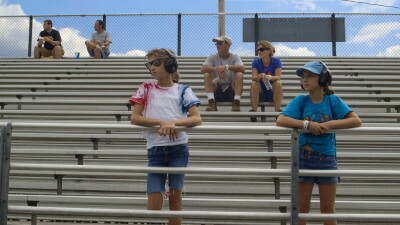 VALLEY- great looking look at people watching drag racing- short sweet, disposable. SIX CENTS IN THE POCKET- a man apartment sits. And this just didn't work for me to the point that I stopped paying attention and I really can't right it up because I wasn't paying attention. REVIEW- rambling story of a girl telling a story we know...nice film but its a poor choice to end the collection since it leaves you feeling eh.